The only time a third game in a match should be played is when the two competing teams each win one of the first two games. Hosts are encouraged to get ahead of schedule, rather than play an "unneeded" third game. The main difference between 4th/5th and 6th grade matches and those in 7th and 8th grade, is that we actually have a procedure in place to encourage (rather than discourage) the playing of the unneeded third game (see Section D-3 of League Rules). This is done to give younger players more playing experience, even if the outcome of a given match has been decided. 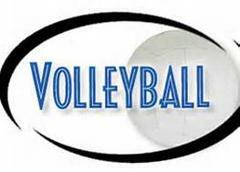 The only difference between how we handle 4th/5th and 6th grade versus 7th/8th grade meet results, is that we will post the scores of all unneeded third games in 4th/5th and 6th grade matches. However, we will not count the outcome of that third games in 4th/5th grade and 6th grade matches toward the League Standings, for purposes of calculating the game win/loss percentage, when the match was decided in the first two games. In that way, the "winning" team isn’t penalized for playing all of its less experienced players in game #3.